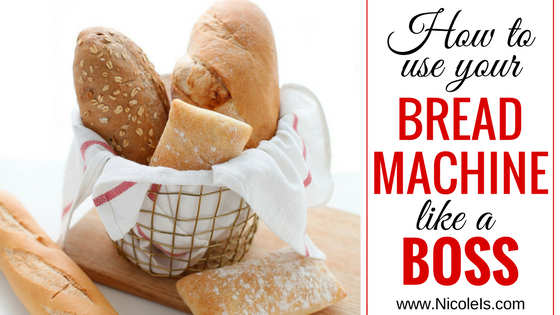 How to Use Your Bread Machine like a Boss – or a Baker! So, I have a confession to make… I hate baking. Well, let me correct myself, I hate baking cookies and cakes. I make about 4 decent deserts. But I have become a master bread baker… in my own home. Yes, I have a bread machine that I use several times a week. Yeah, I know you have one too. Well, dust it off, because I’m going to show you how to use it like a pro. Truth be told, as much as I use my bread machine, I don’t bake any bread in it anymore. See the beauty of the bread machine isn’t that it bakes the bread – that’s easy to do. The REAL beauty is that it makes the dough. Yes, my “ah-ha” moment. Now I make gorgeous loaves of bread fresh from the oven, mouth-watering artisan bakes that look like I bought them at a bakery, and I do very very… very little. 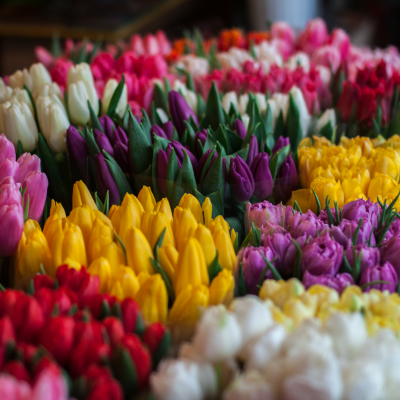 Now don’t get me wrong – I do make some effort, like buying flour and opening containers. Oh, and I do shape the loaf and plop it into a pan. This takes all of 2 minutes. So all that being said, here’s how to use your bread machine like a BOSS! 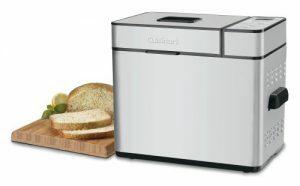 I am very loyal to my Cuisinart Bread Machine. Mostly because it’s the only brand I’ve ever used. I’m on my second one now, the last one I had for 10 years. But, there are lots of great machines on the market. What really needs to be considered is the size and dough setting. Tip: I like a large capacity bread machine. At least 2 pounds, that way you can easily do two loaves without burning out your kneading mechanism. It’s easy to double a dough recipe, as I did in Bread Machine Anadama Bread! I have two AMAZING cookbooks that are my go-tos. I’ve had several others, but these two are the best. 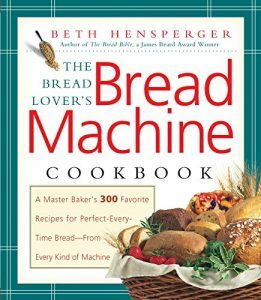 The first is The Bread Lover’s Bread Machine Cookbook: A Master Baker’s 300 Favorite Recipes for Perfect-Every-Time Bread-From Every Kind of Machine, by Beth Hensperger. It’s perfect for first time users and as you get better and better, it has more advanced breads. It also pretty much has a recipe for every single type of bread you could even comprehend making or eating. Tip: I find the recipes to be pretty spot on, except I always have to add about a tablespoon or two of additional liquid to my dough to get it where I like it. 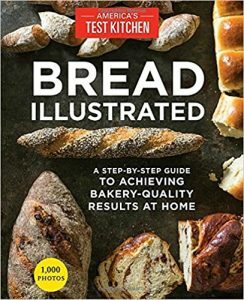 The second is America’s Test Kitchen’s Bread Illustrated: A Step-By-Step Guide to Achieving Bakery-Quality Results At Home. No, this is not a bread machine book nor are any of the recipes for bread machines. But, as I mentioned before, your bread machine makes dough… amazing dough with no work! And let me tell you, this book has fantastic bread recipes! But on top of that it has amazing tips, techniques, and shaping illustrations to make you a baller with bread. And it’s easy!! Sooooo easy! Tip: I have managed to convert every bread recipe in this book for my bread machine. I simply add the ingredients as the machine instructions state (mine is liquid, dry, and yeast) and then let it go on the dough setting. Follow the instructions for shaping, last rise, and bake… BOOM! Incredible bread! Check out my Bread Machine Hoagie Rolls to see how easy it is! 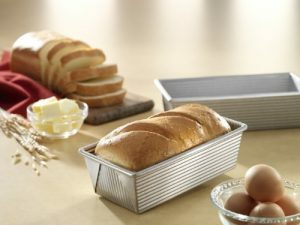 1 Pound Loaf Pans – I personally use USA Pan Bakeware Aluminized Steel 1 Pound Loaf Pans and they are the best I’ve used. My Boyfriend surprised me with a set of these and they are invaluable. They have a nice insulation for even heat and crust and are non-stick so your loaf easily pops out for cooling. Plus they’ll last you forever and are made in the USA! Tip: I recommend having two of these. Since you’re just making dough in your bread machine, you can easily double a 1 or 1-1/2 pound loaf recipe in your bread machine and make 2 fantastic loaves. 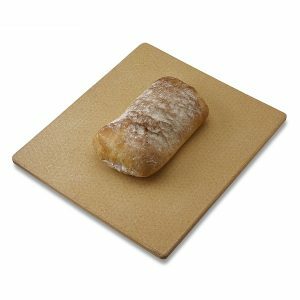 Pizza Stone – must have for any sort of artisan bread or pizza. It’ll give you a nice crisp crust on the bottom of your bread or pizza. Plus it lives in my oven, I don’t need a special place for it. Spray Bottle – one that’s cheap with a good mister and only used for water. Tip: To achieve really gorgeous, golden brown, crisp crust, a mist of water before putting your bread in the oven is all you need! Parchment Paper – NOT to be confused with wax paper which is utterly useless in general. But parchment paper is fantastic and you’ll need it now and then. 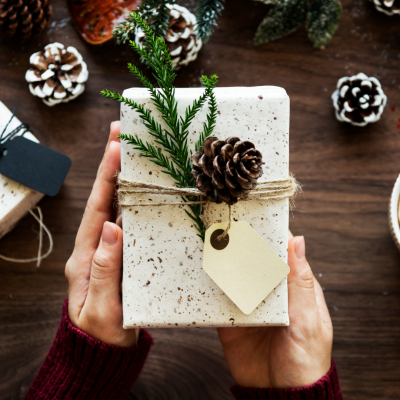 Tea towels or cloth napkins – this is not a major necessity, but I prefer them to greased plastic wrap. I don’t know if you’ve ever tried to grease plastic wrap, but it’s a major pain in the rear. So I like to use these to put over my dough to rise. 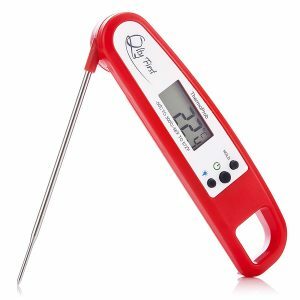 Digital Thermometer – Bread actually has a “done” temperature, it’s between 205 – 210 degrees. Find a thermometer that registers to at least 250 degrees. It makes a huge difference in baking my own bread! I can’t tell you how many times I pulled a beautiful loaf out thinking it was done, and it’s still got some raw dough in the center. Now that never happens. Another great tip from Bread Illustrated: A Step-By-Step Guide to Achieving Bakery-Quality Results At Home. 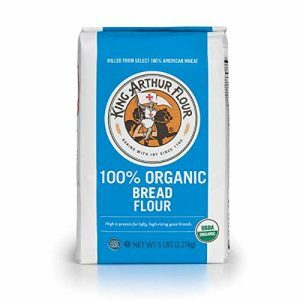 King Arthur’s Flours – King Arthur makes some of the best flours I’ve ever used. I will only use their brand of Bread Flour, All-Purpose Flour, and Wheat Flour. Bob’s Red Mill Flours – Bob’s Red Mill makes amazing specialty flours, oats, and grains that are readily available in the natural food section at most groceries stores. I love their corn meal, rye flour, rolled oats, and vital wheat gluten. It’s such nice quality. Fine sea salt – I don’t know what it is about sea salt but it just makes everything better. I don’t buy anything fancy, most stores have a fine grind store brand and it costs very little. Red Star Brand Yeast – Please, get good yeast! I have, in a pinch, bought other yeasts available at the store, but this is the most consistent yeast I’ve ever used. 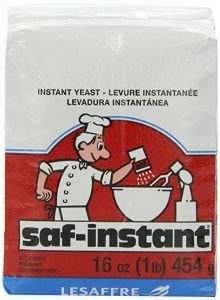 Tip – I keep my yeast in a container in the fridge or freezer, it’ll last you forever and will stay potent. Honey – I LOVE baking with different local and specialty honeys instead of using sugar, it can really change up the taste of a tried and true loaf. It’s actually become a bit of an obsession. I have nearly a dozen types of honey in my pantry now. Tip: I substitute honey for sugar in a bread recipes all the time, in fact I rarely use sugar anymore. I put in just as much honey as it calls for sugar. When it’s in the mixing stage, I sometimes need to add a little more flour to compensate for the extra liquid. 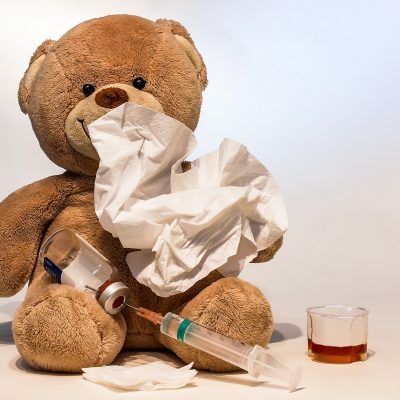 « 5 Natural Ways to Heal Your Body After the Flu! Oh my goodness this looks so amazing! It makes me hungry and wanting to get out and get a bread maker…. I would be cooking everyday tho!! Yeah, it can definitely add to your waist line! That is so interesting and useful post! My mother makes our bread and I think she will love these suggestions! The first book is on my list now! I’ve made bread both ways, but at the end of the day, it was the rising and the kneading I never had time for. This does all the heavy lifting for me, and I still bake it in the oven. This looks fantastic. We bake all the time for fun and for our blog. We’ve baked lots of cakes, pies, muffins, cheesecake, biscuits but never bread! We need to try these recipes soon. I have never made a bread ever but this looks amazing and the tips really are very useful. We have never had bread maker we either get it from bakery or supermarket. But bread is my favorite especially garlic loafs! Ya know, if you’re still on the fence about getting one. I see them all the time at thrift stores. It’s really easy to buy replacement parts and you can pick them up for dollars. I have my mom’s bread machine and I love it! It also makes BUTTER! This is great post! What??? It makes butter??? Oh you need to share that with me! Which machine does that?? Really great tips.. I too love to sub honey for sugar,it gives it a different flavor. It really does! And different honeys give different flavors. I just love honey! I recently became an owner of a bread maker (thanks m to my mom) and I have used it just about everyday. At first I was like yay I can make bread, but there are so many more uses for it and I love it. My mom gave me her hand me down bread maker 20 years ago. Since then I’ve had two others and I still love using it! Oh wow I learned so much from this post, I have a bread maker and it has been more of a fail every time I’ve used it than anything else, but with your tips I am inspired to give it another go! Oh please do! I think you’ll come to love it! I have always wanted to start making bread myself, purchased the bread maker last year, just too lazy for the first try. This looks amazing and the tips really sound very useful, I am going to finally try it this weekend. I always wanted a bread machine. Great tips. This is a huge time savers. I can only imagine how easy it can be to make bread now, because I love bread but some parts of the process it to much for a busy mom.